HISTORY has not been kind to the Pennine valley of Hudes Hope. 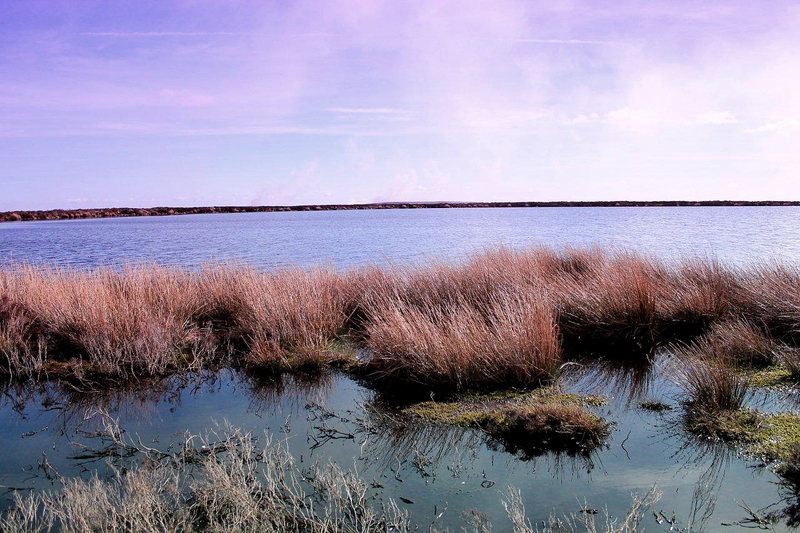 On a sunny morning in March its lesser scars can be mistaken for natural wounds and warts on the landscape. 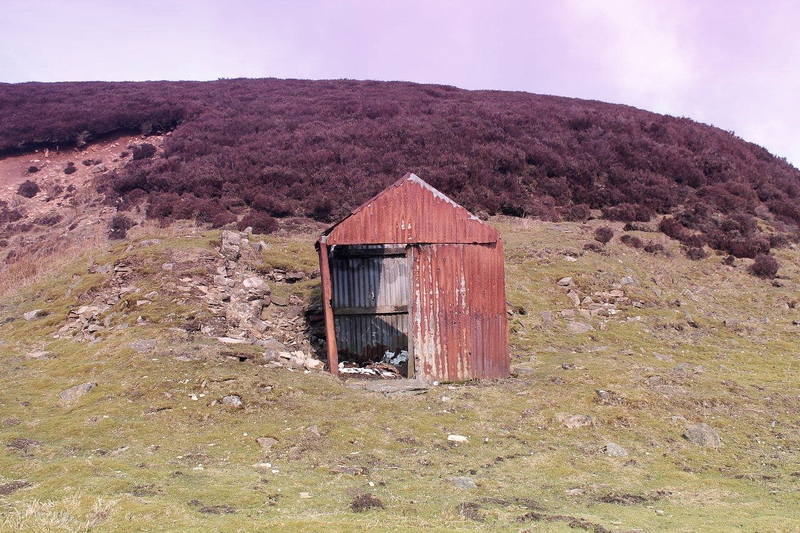 But there is no disguising the greater disfigurements – the 19th Century lead-mining hushes that slice down the fellsides like colossal gutters, and the dull heaps of spoil piled randomly on the slopes. Hudes Hope has been gashed open by the hands of man, its moors hollowed out and the innards raked to the surface. But where man has unsympathetically exploited the environment, nature has partially recolonised and healed. Despite its bleak history and the despoliation, Hudes Hope remains a wonderfully peaceful place to sit in the sun and drink tea . . . The sheep think so too. 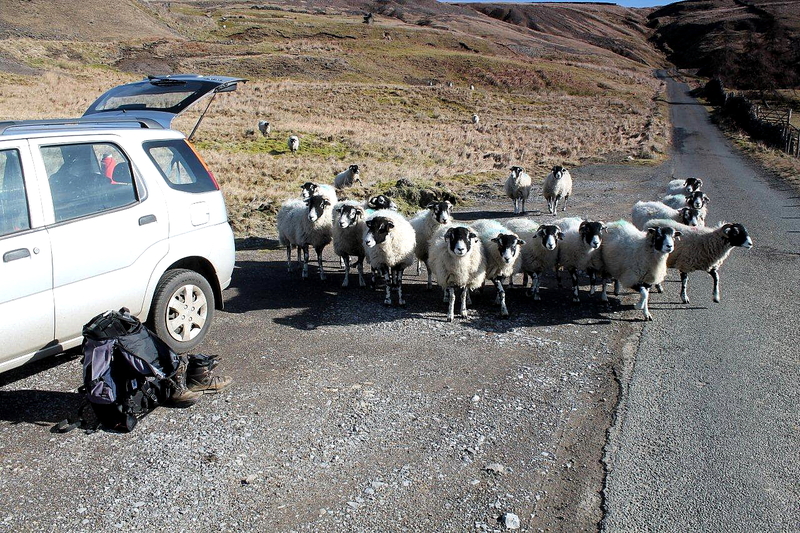 They stream off the fell when I sit down on my collapsible stool and flock around the car, baa-ing loudly. It must be the aroma of the tea. I expect it’s in short supply up here. Today I’m going to California. I tell this to the sheep and they look puzzled – but sheep always look puzzled. California was a lead mine a few miles to the north-east of Hudes Hope. The name intrigues me because I grew up in a part of Cumbria where there was also a California pit. That was a haematite mine just up the coast from Barrow. All that remains today is a couple of ponds where fisherman sit stoically and watch ducks. This new California – new to me – was more formally known as Little Eggleshope Lead Mine. But it’s much easier to say “California”, and it’s far more romantic and aesthetically pleasing to do so. 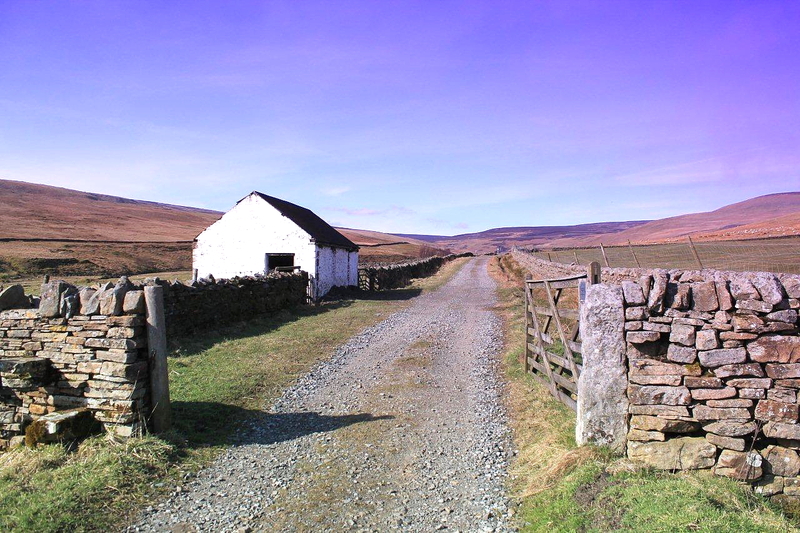 Hudes Hope, this empty valley with a couple of bleak farms and patches of bare field, situated immediately north of the Durham town of Middleton-in-Teesdale, is my starting point. 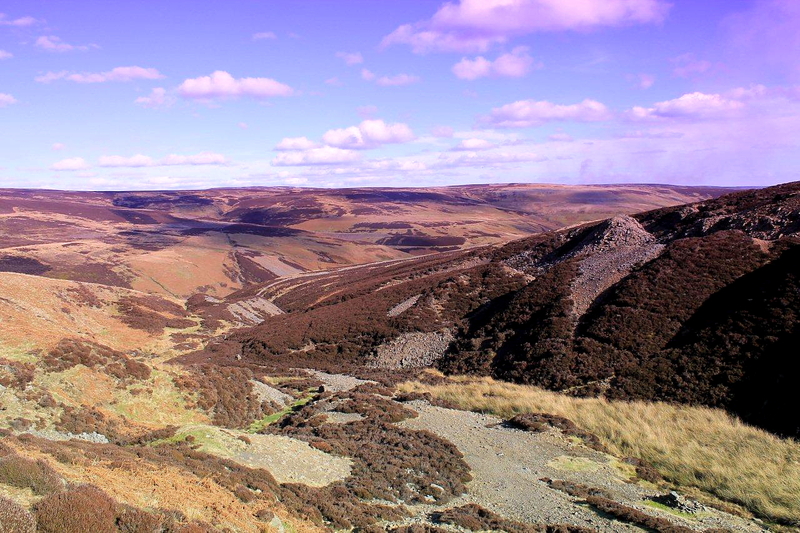 I head north-east up a slope through the old workings of Lodgesike Mine to the crown of the moor, then follow a rugged path down a deep series of gashes – Manorgill Hushes – to a sunlit valley known as Great Eggles Hope. The sun is hot and the sky is blue, but patches of snow still lie in sheltered hollows. 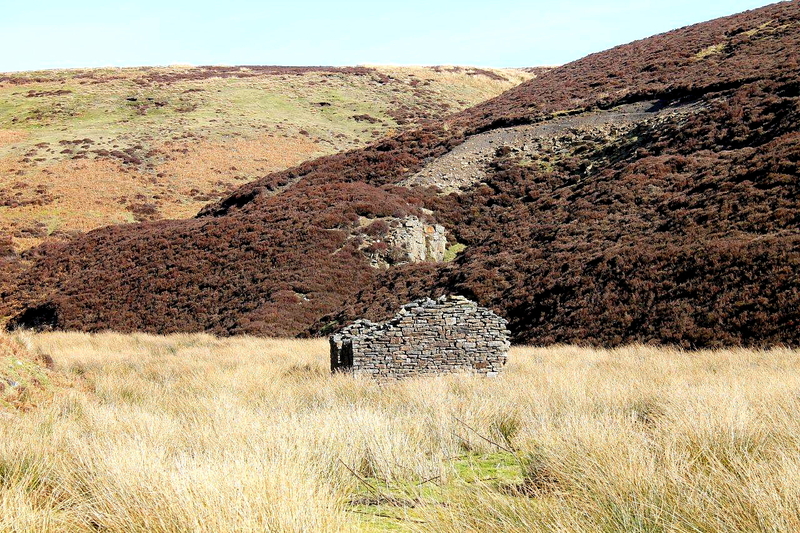 The calls of moorland birds ring through the warm air; grouse cluck in the heather; rabbits scatter among the ruins of the Victorian-era lead mining industry. Great Eggles Hope may well have been a grimy, poisonous and desperate place to work in years gone by, but today it is the most pleasant place on earth. 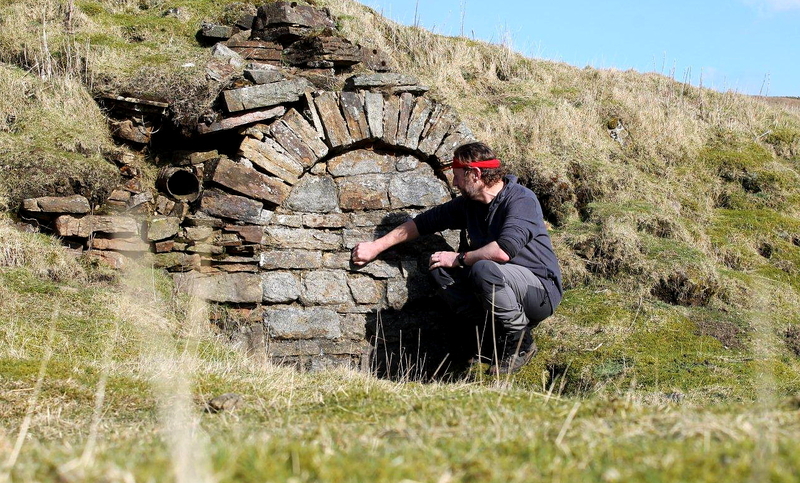 I pass an old mine portal, where water streams from deep in the earth. Massive heaps of spoil fill the valley floor. 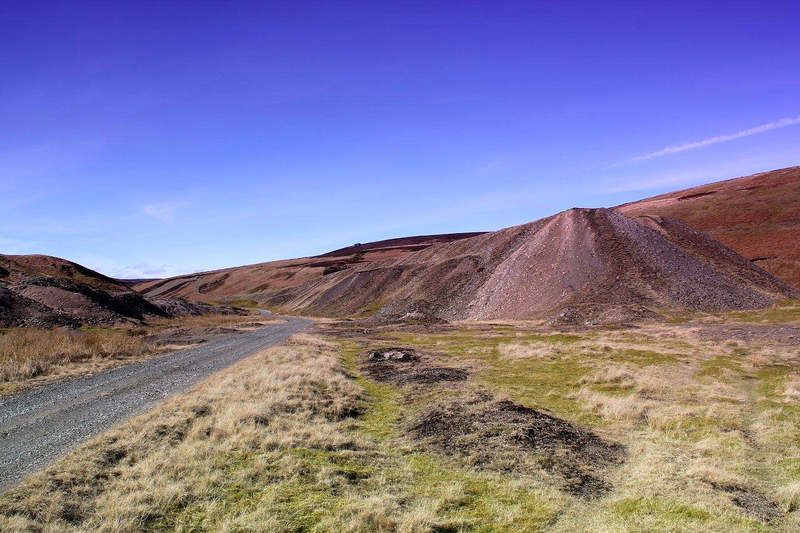 These are the waste tips of the Wiregill and Monorgill lead mines. These operations were colossal, employing hundreds of men from the 1850s until the early decades of the 20th Century. 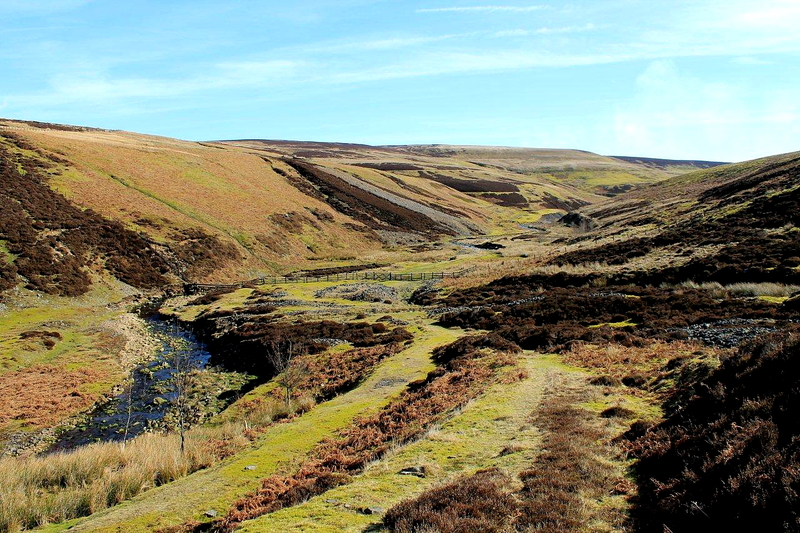 Thousands of tons of galena – the ore of lead – and its associated minerals have been hacked from the slopes of these moors and from beneath the floor of this valley. Yet to walk along Great Eggles Hope today, listening to the birds calling and smelling the warmth of spring, it is impossible to imagine the conditions that prevailed when the industry was at its peak. 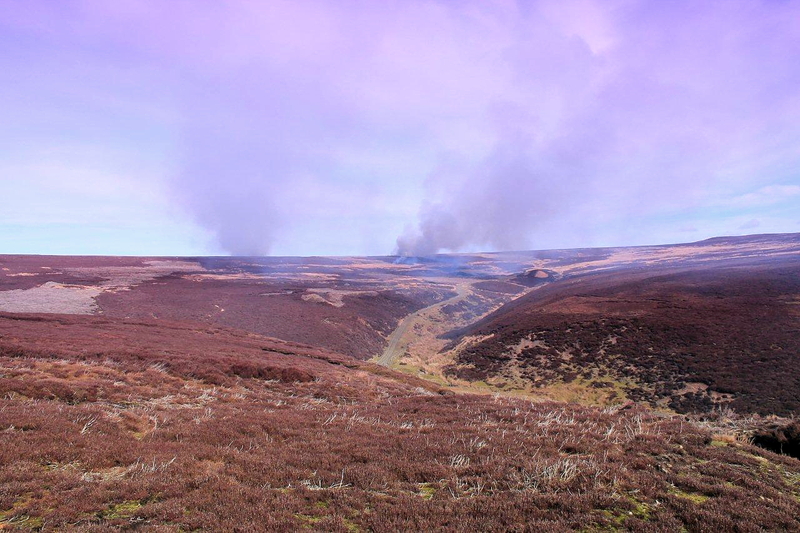 I follow a mine track north up Wire Gill and climb onto the southern flank of Harnisha Hill, where pillars of smoke rise into the sky as estate workers burn heather to encourage new growth for the grouse to eat. 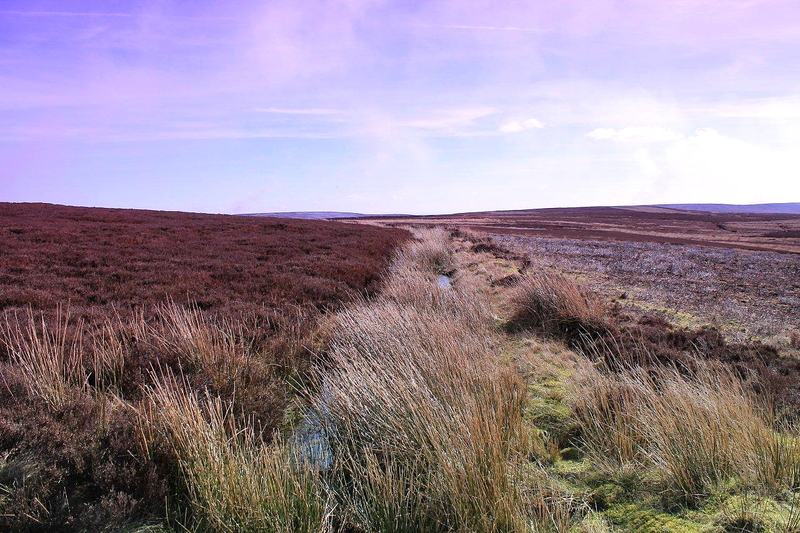 There’s a Victorian reservoir on the flat top of the moor, fed by an overgrown launder (leet, lade, flume, race) delivering water from Harnisha Hill. 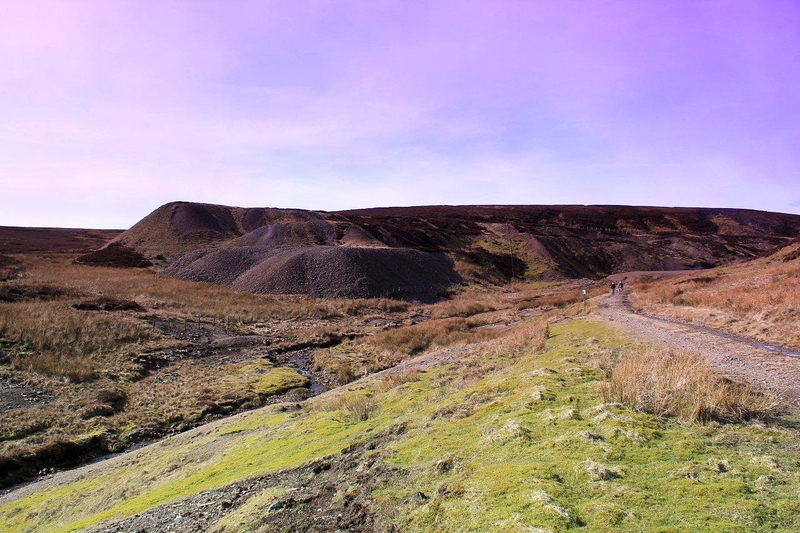 And below the reservoir I spy the spoil heaps of the California mine stretching east along the heathery slopes of Little Eggles Hope. California, it must be said, is a bit of an anti-climax. 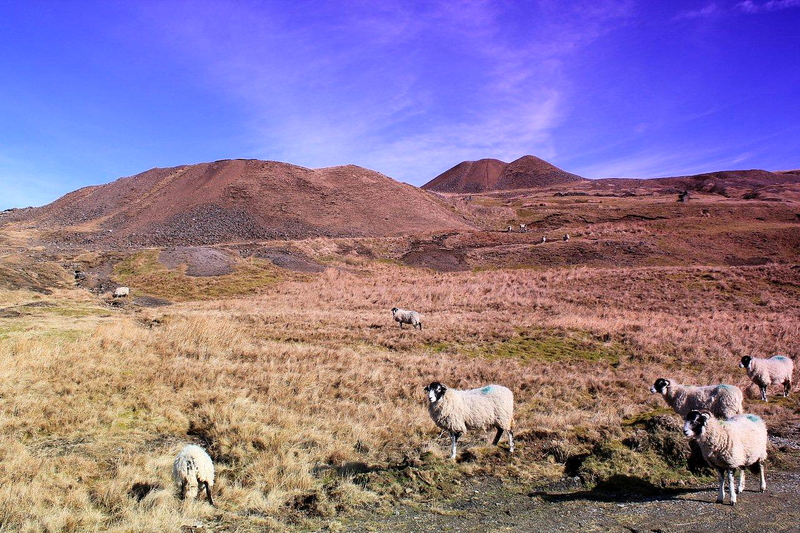 There has been an attempt at landscaping some of the lower spoil heaps – but landscaping seldom works in an environment such as this. 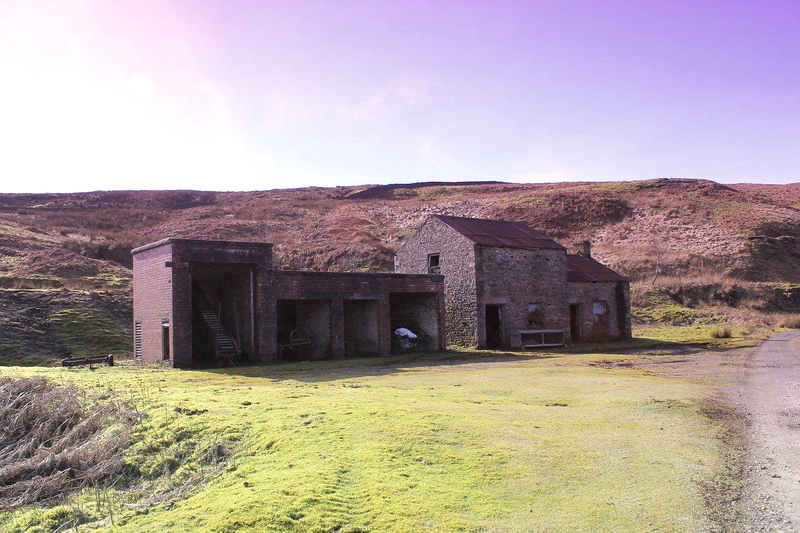 Victorian remains, which have been absorbed into their surroundings, are replaced by patches of bulldozed ground that resemble those bland depots where councils store chippings and rusty snow-ploughs. 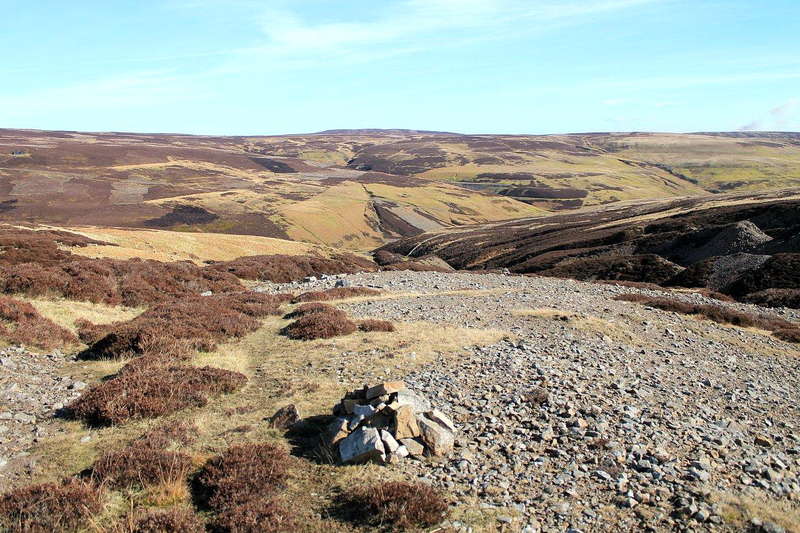 I sit on the flattened rubble to eat my lunch as smoke drifts along the valley from the heather fires, turning the air and the landscape a watery blue. I might easily be sitting in a local authority tip while scavengers burn gash cables to retrieve the copper. 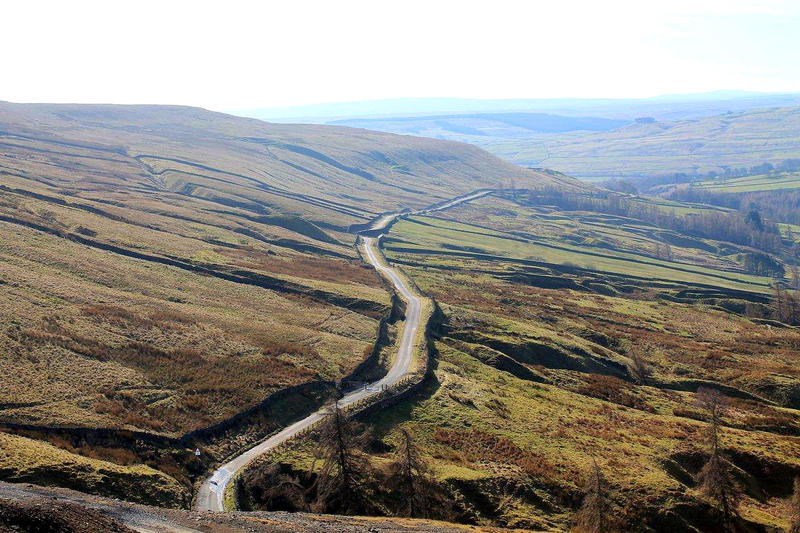 But I’m miles from anywhere in a remote Pennine valley at a place whose name evokes images of blue skies, fruit glades and Route 66. So why is it called California? What possessed intelligent men to name this place after a hot and exotic region of North America that was, in the mid-19th Century, famous mostly for its enormously lucrative gold mines? Was it the irony of the Durham miners who trudged through mud, wind, rain and snow to spend their working lives in danger and darkness; or the cunning of mine owners seeking to drive up share prices by introducing a dash of gold-rush glamour – as a bingo-hall owner in Whitley Bay might promote his establishment by advertising it as the Las Vegas of the North-East riviera? Either way, there are other examples. 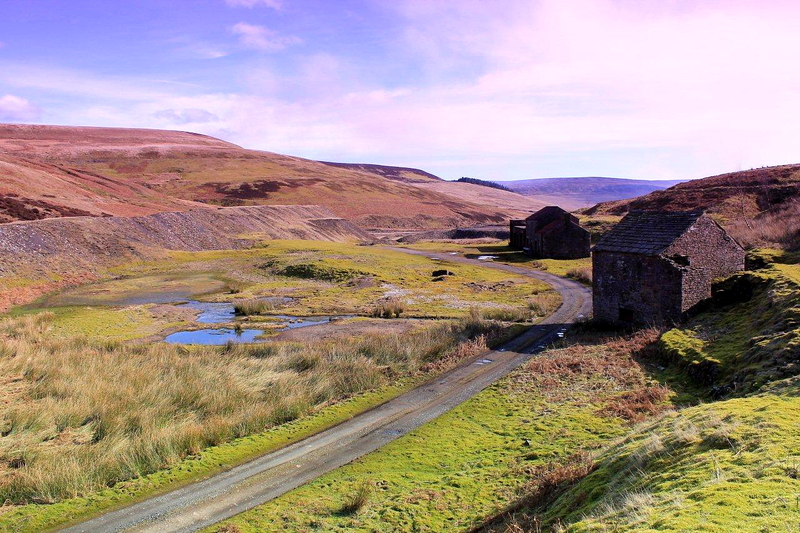 The remains of several Colorado pits are to be found in Cumbria, and there was a Klondike Quarry at Coniston. There was no gold in any of them, and none was expected, but there were plenty of men desperate to earn a wage, and plenty of owners eager to exploit them and the shareholders as well. 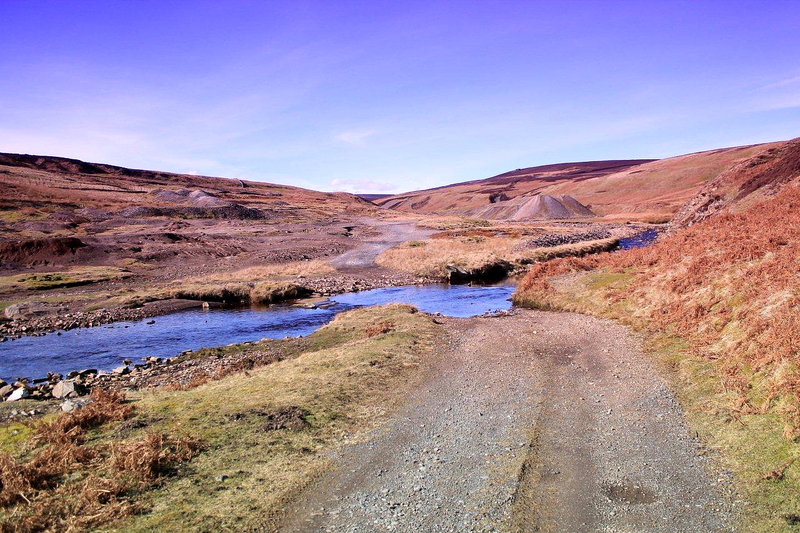 I follow the river around the fell to a whitewashed farm then tramp back up into Great Eggles Hope, poke among the mine buildings for a while, clamber back up Manorgill Hushes and over the top of the moor, then descend in the warm afternoon sun to the head of Hudes Hope. It’s been a satisfying day. It’s been a glorious day. And now, as I sit on my collapsible stool with my back against the car, gazing along the hazy valley towards the roofs of Middleton-in-Teesdale, I pour more tea and wait for the sheep to come streaming off the fell. But they don’t come. A case of once bitten twice shy, perhaps – a bit like me going to California with an aching in my heart and finding things aren’t quite as I expected them to be. Well I won’t be fooled like that again. So where to next? Glancing at the map I see there are a couple of old colliery villages down the road in Durham called Quebec and Toronto. With names like that, you’ve just got to go and poke around . . . 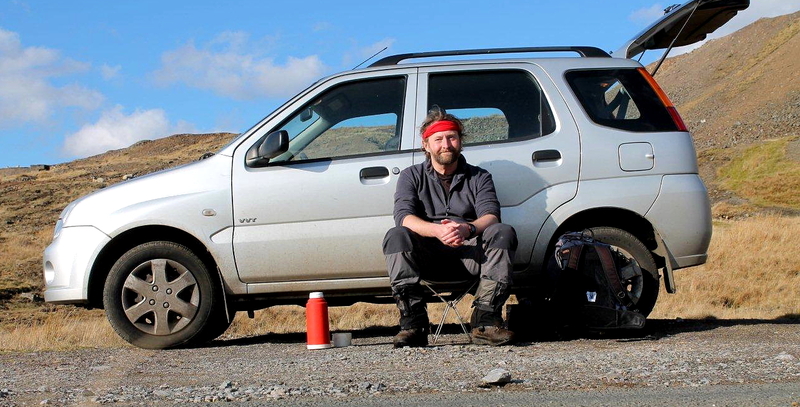 This entry was posted in Climbing, Environment, Geology, Hiking, History, Industrial archaeology, Mountains, Quarrying, Ruins, Slate quarries, Teesside, Walking and tagged Cumbria, Lake District, Mining History, outdoors, Pennines, The Lakes, WPLongform. Bookmark the permalink. Just reading that made me feel better – no wonder you found it glorious in real life. Hiya Scott. Good to hear from you. Glorious dog-walking country as well, I imagine. 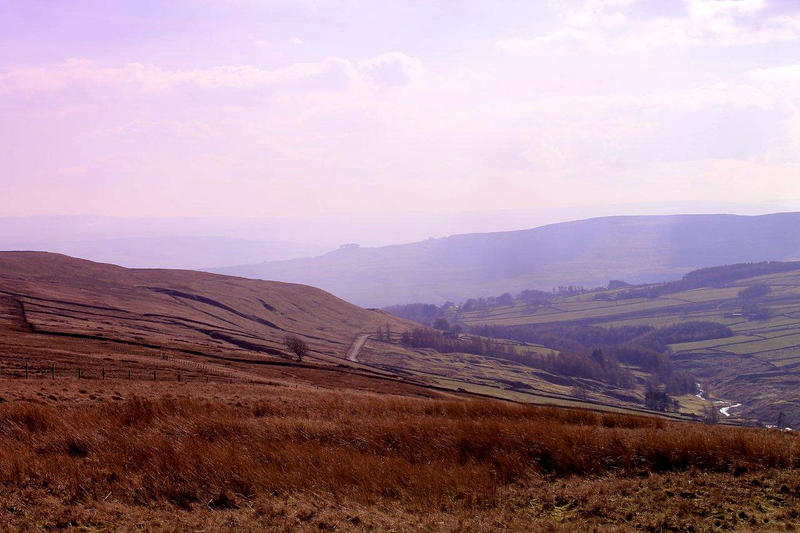 A wonderfully written and fascinating post which transported me on to the moors with you. 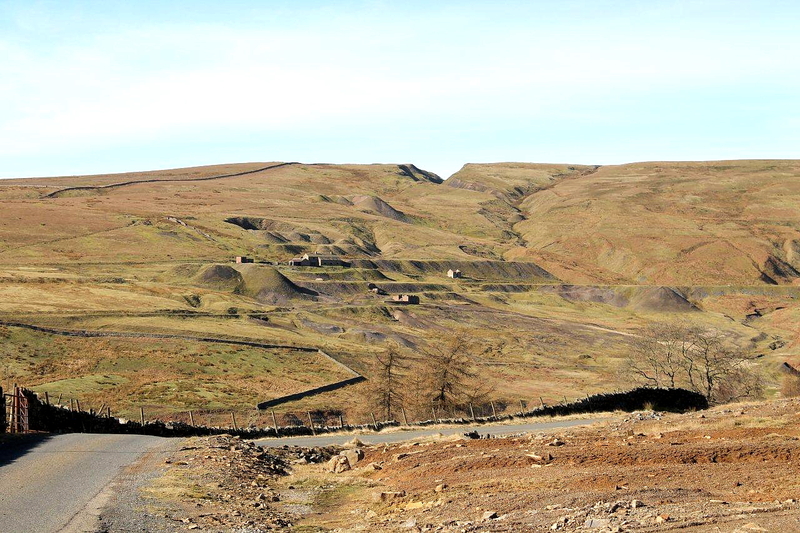 A magnificent landscape, one to which the mines only add more character and scale. I don’t know why old mine workings are “landscaped”…nature always does a much better job and with a more felicitous hand. When we try and do something it ends up being a no-man’s land, neither one nor the other. I have to admit that as environmentally unsound processes, “hushing” takes the top spot, except for fracking perhaps! 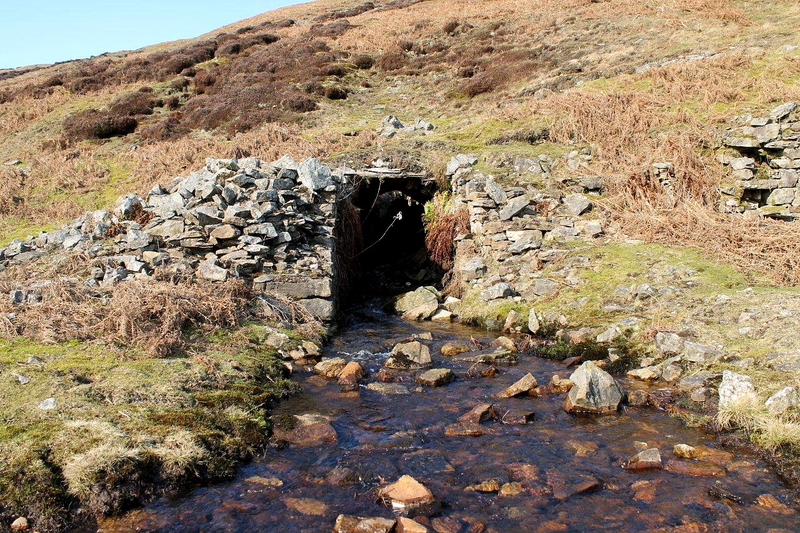 We have several “California” mines here in Wales, along with a “Klondike”…certainly these two were named for the benefit of the gullible investors…there is an “Alabama” slate mill in Blaenau whose name is a mystery though. But your landscape, as shown in the blog, is so wonderful. Hi Iain. Thank you for that. There are signs that the “landscaping” craze is a thing of the past. I certainly hope so because no one benefits from the outcome. Historical remains are obliterated, wildlife is disrupted, new colonies of plants are wiped out – and the result is just a bareness that sticks out like a sore thumb. I’m glad you’ve got a couple of “Californias” and a “Klondike” – history and economic trends written on the landscape. Though I must admit, the “Alabama” is a bit of a mystery. They didn’t grow cotton in Blaenau, I suppose. Cheers, Alen. PS Thanks for inadvertently drawing my attention to my misspelling of Klondike. I have updated the post. Maybe no cotton in Blaenau, but there were american paddle steamers operating on the Conwy (taking people to the spa at Trefriw). Thanks for that, Steve. I’ll take my banjo next time I visit the area. 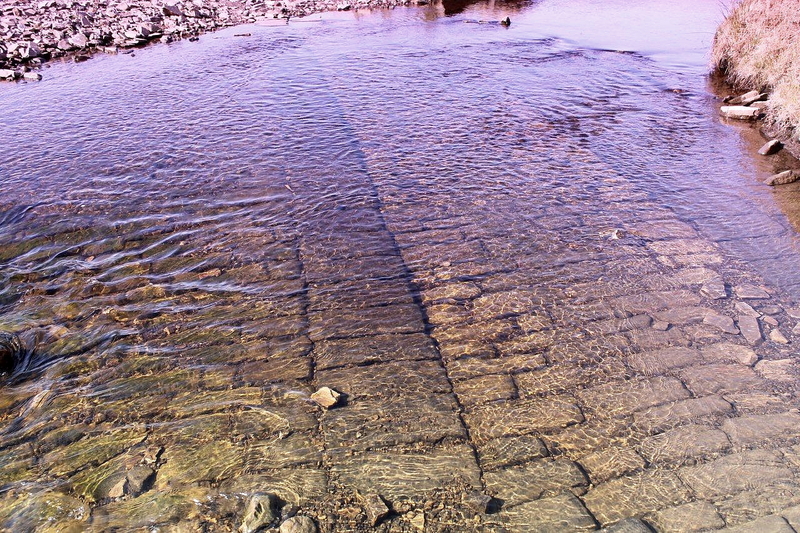 Our paths came close to crossing there Alen. 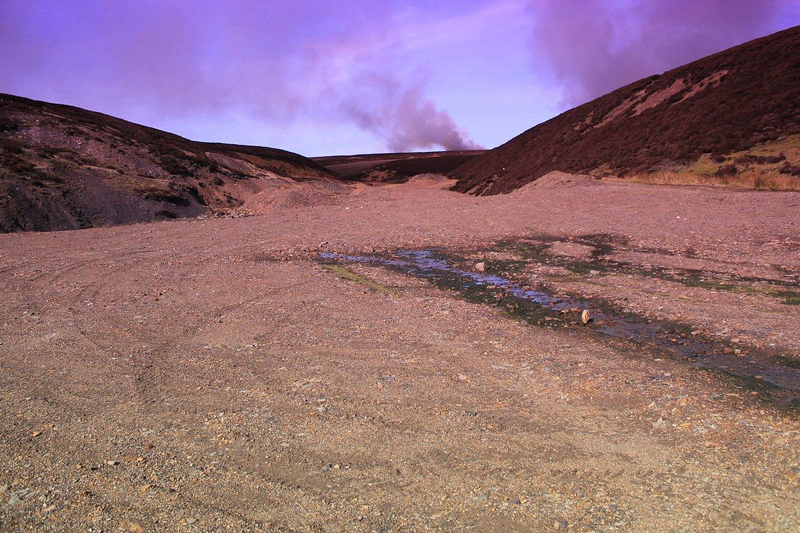 I was photographing the heather fires just above you on Harnisha Hill and then planned to wander down into Great Eggleshope and Wire Gill before heading back to the road. Unfortunately the fires were burning down slope so I kept above them. Nice to feel the sun that’s for sure. Aha, perhaps one day we shall finally bump into each other, David. I always keep my eyes peeled for wandering photographers when I’m up above Teesdale, but I didn’t see anyone all day except a couple out for a stroll along the track from the road in Little Eggles Hope. It was a great day and I hope your batteries feel as recharged as mine. My first ever two week holiday was in California. In Norfolk. California Sands, to be exact, but I can’t remember if that was the name of the place or the name of the caravan park. Your walks have alerted me to ‘hush-spotting’ now, if I’m ever in the right area. 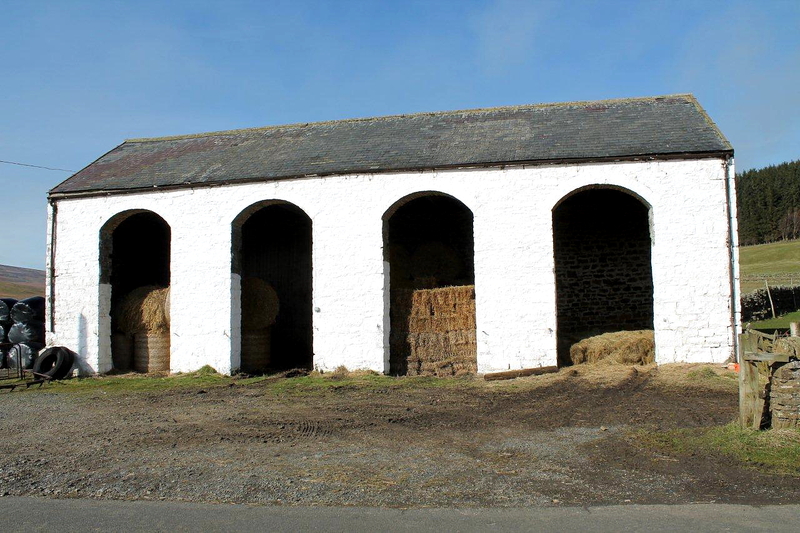 I like coming across a bit of heritage, but to the uninformed a hush would look just like erosion. After a few seconds trying to think of a pun that linked sheep with drinking tea I gave up. Maybe one of them recognised you (‘Isn’t that the bloke who found the Fray Bentos?’) and they all came down to see if your chair would collapse again. Ha ha. There must be a hush puppies line in there somewhere, Chris. There is a California just a couple of miles up from Great Yarmouth because I’ve cycled through it, though I don’t recall any gold rushes or anything that remotely resembles the Sunshine State. The collapsible chair performed well this time. In fact, there’s nothing wrong with the chair, I think it’s more down to operator error and a lack of balance. Hiya Danny. Good of you to drop by. A nice smoky red wine would have gone well with the sunshine and scent of burning heather. Hi Charles. Thank you for that. Great article & photos! You really got the weather right that day! As for the sheep I think it may have been your open car boot. Perhaps they thought you were offering them a lift to California! Hi Ash. That’s a new one. The sheep are California Dreamin. Stranger things have happened . . . It must have been a lovely spring tour, with birds, grouse, rabbits and blue sky. Hanna, I think I’ve been underestimating those sheep. They are more intelligent than I’ve been giving them credit for. Because I would do the same – if I thought I was going to California and had been faced with the prospect of being squeezed in like herring in a barrel, I would have held back. And I’m rather partial to herring, as well. It was a great day. And thank you for giving me a laugh. 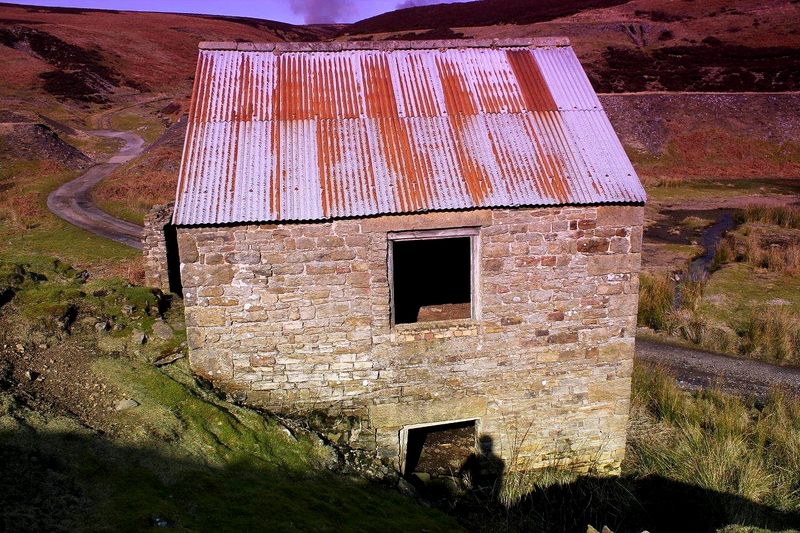 This is a fantastic post – I absolutely love the old lead mines and in my day explored as many as I could, descending crumbling shafts and old levels (usually with friends but occasionally on my own – I wouldn’t do it now but when you are young you have no fear). 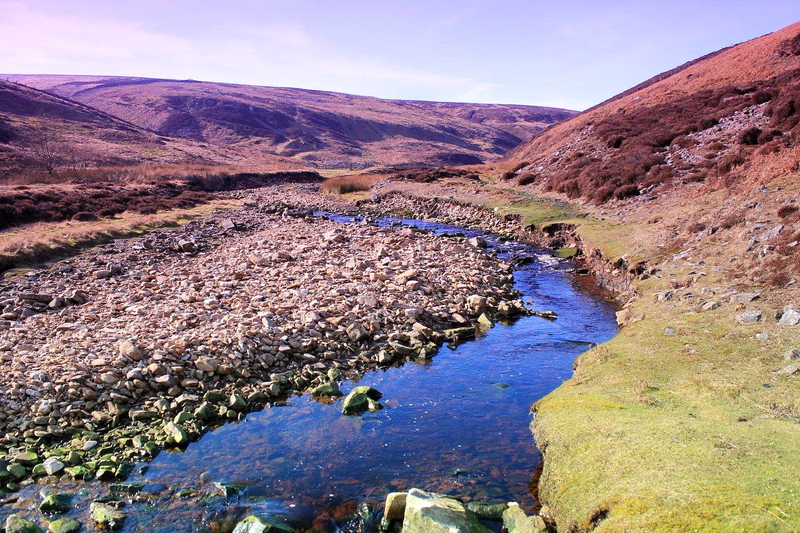 And there are so many of them – lots of people know about the ‘famous’ ones such as Gunnerside Gill, Yarnbury and the smaller ones in Nidderdale. But the remote ones are best – they are less visited and so are more intact. In one way it is a shame they aren’t better protected for future generations, but in order to do that they would need to generate funding and I for one would not want to see a visitor centre and tea hut and having to pay to visit. 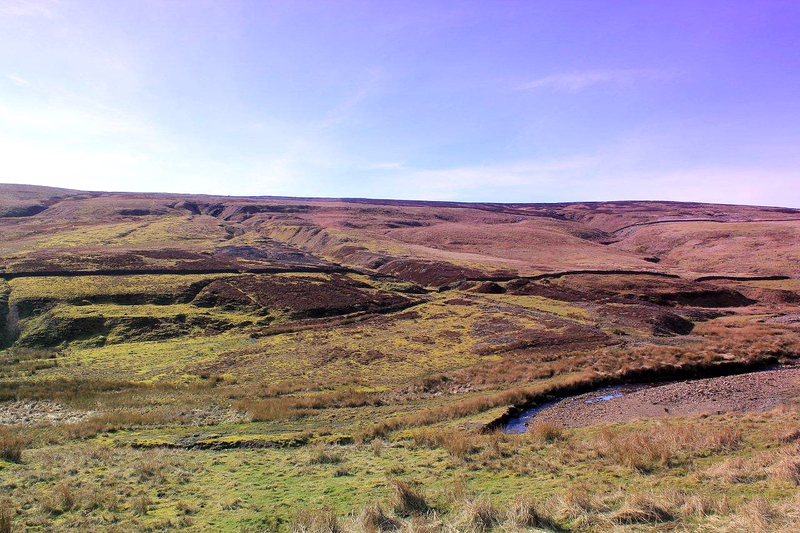 But this is part of the charm – the remoteness and wildness and walking on the moors and suddenly coming on some old workings. Brilliant! I really enjoyed this post. Hi James. Thanks for your comment – you’ve stirred some of my own memories there. 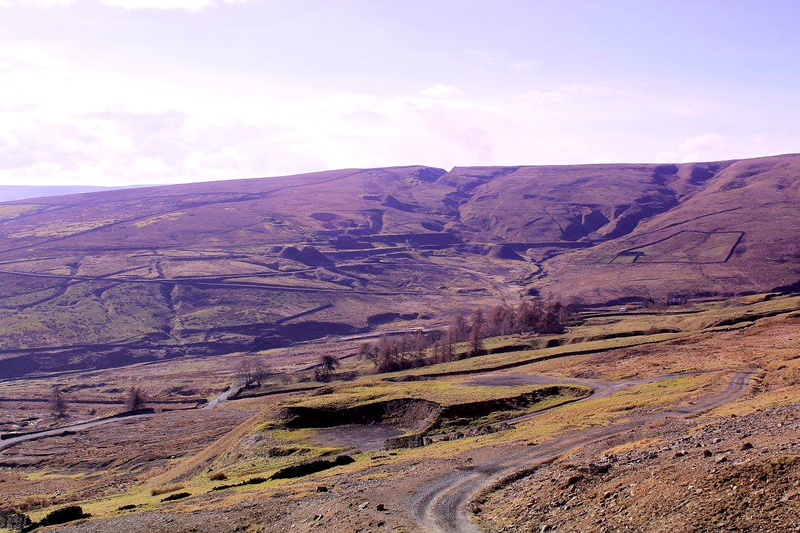 I spent a lot of time during the 1980s messing around in the mines around Nenthead and occasionally in Weardale. Even the more popular mines (Sir Francis Level, up to your chest in water for hundreds of yards) were a bit of a challenge. They were great places to explore and there was a real sense of adventure. But as you say, the more remote ones have stood the test of time well, and nowadays I appreciate the ruins and remains left on the surface more than I did back then. I can spend hours poking about among tumbled walls. And as for sanitised, family-friendly visitor centres – no thanks. Excellent post and photos, Alen, and it’s good to see a ‘normal’ one of you! (What are you doing knocking on the walled-up mine entrance? Would it have shocked you if someone let you in?) There is a California somewhere near us, too – around Falkirk, I think. We have never been through it but I always wonder if it has a hotel. I’m pretty sure I’d be disappointed though! Apparently the spoil heaps around here in West Lothian are called ‘bings’ – where they used to extract crude oil from the shale. I wonder about the origin of the ‘Eggles Hope’ place name – suggests to me that there may have been a church here. Hi Jo. Blimey, you’ve raised a few points there. Firstly, I would have been bloody surprised if someone had answered the door. I’d probably still be running. Secondly, I had loads of songs lined up for the title of this piece and one of them included the word “hotel”, I just couldn’t make it work so I gave up. Have you any idea how many song titles include the word “California”? I did a search and it’s mind-boggling, but I’m glad to learn there’s a California near you. Thirdly, I’ve heard of the term “bings”. There was an episode of Rebus where a body was found buried in the bings. It’s a lovely word and I’m glad it’s still in use. Fourthly, I wondered about the ecclesiastical connection. Eggles and Eccles usually denote the existence of a church, but I don’t know of any. I shall look into it. Hi Carol. I think there’s a great deal of irony in mine names. 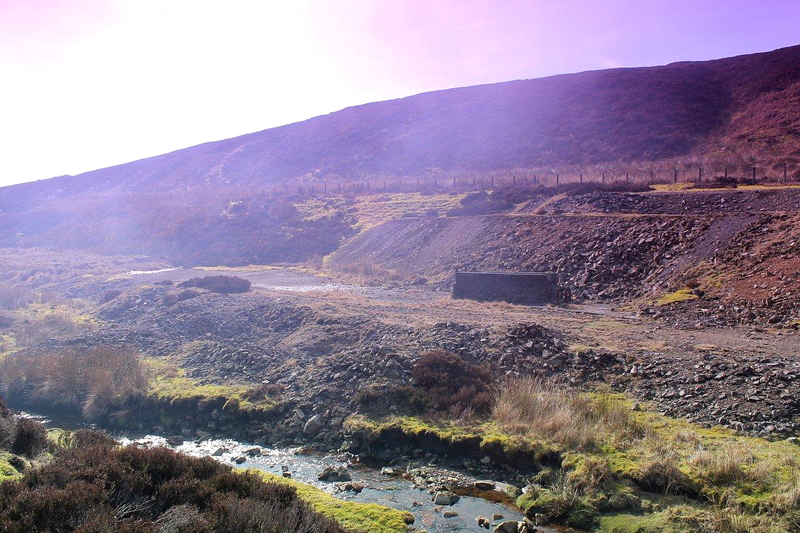 There are three quarries in the Lake District named Spion Kop – which was a hilltop battle in the Boer War in which the British were defeated. This is also where the Liverpool Kop gets its name, for North-West regiments played a major role. It’s a fascinating subject. Someone should write a book on it. I haven’t been to Roughton Gill for years. That’s an interesting area. I shall look out for your post. Thanks for bringing a bit of adventure into my life today Alen. A great hike. Past 6 months I’ve not gotten out due to the debilitating effects of chemotherapy treatment. That is almost over and I look forward to hitting the trails again. In the meantime you give me something to aspire to and as always inspire. Thanks for that. Hi Dohn. I’m glad you dropped in. It’s good to hear you’re feeling better, so here’s hoping you are back out under wide blue skies soon. 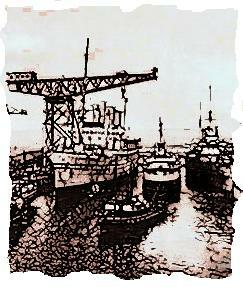 Her mum was taken to the shops in Oban twice a year and transported in the back of a forestry lorry ! That’s great. New York, New York. Someone wrote a song about it.